We have all come to rely on a myriad of different web tools to do our work, but a lot of the time, those tools would work better if they worked together. To address that problem, Wade Foster and his collaborators Bryan Helmig and Mike Knoop co-founded Zapier, a service that allows you to create automated workflows between multiple apps. The trio initially started the company as a side project in their home town of Columbia, Missouri in 2011 before moving to San Francisco to take part in Y Combinator in 2012. 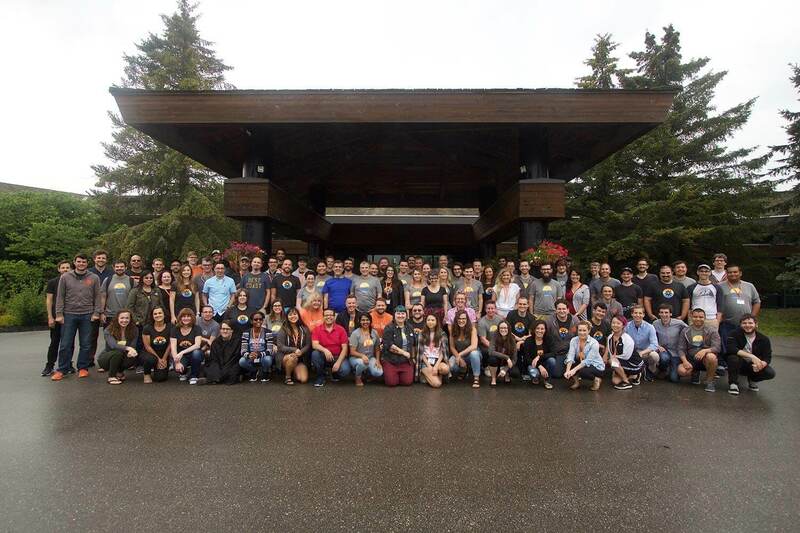 Today, the company is staffed by 80 people working remotely from 13 countries, and has become a prized tool for more than a million users, who use it to create unique workflows with hundreds of apps. Here, Foster, Zapier’s CEO, discusses how a passionate user base can guide product strategy, the different approaches to raising money, why they decided to build an entirely remote team, the advantages and challenges of operating outside the Silicon Valley bubble, and much more. Marketing to non-technical users is all about product education, because the sort of automation Zapier allows for used to require technical skills. Building the newly released Zapier for Teams, with shared workflows across a company, was really a process of listening to customers and observing how they are using the product. There are different approaches to fundraising than going either the bootstrapping or the VC route – it’s possible to do a bit of both. Having relied on remote working at an early stage in its development, Zapier is now entirely remote, and find it a key advantage. Developing outside the Silicon Valley bubble gave rise to a different attitude towards growth and business. Adam: Wade, welcome to the show this morning. We’re big fans of Zapier, but for anyone who may not be familiar, could you give us a quick feel for your mission as a company and the problem that you’re ultimately trying to solve? Wade: Zapier is a workflow automation and productivity software. We integrate with about 800 different web apps – things like Google Apps, SalesForce, MailChimp, Slack, Trello and Intercom. It allows any type of person, whether you’re technical or not technical, to quickly set up these integrations that let you automate some of the routine stuff. An easy example is anytime you get an email with an attachment, you can automatically save that attachment to Dropbox or Box. Or, if someone fills out a form on your site, you can automatically put them into Intercom so you can follow up with them. Little things that you would end up doing manually, Zapier can just automate away so you don’t have to think about it anymore. Adam: Integrations and APIs are commonly associated with products for more technical people. But, as you mentioned, Zapier is something that non-technical people can use as well. I get a sense that your team has been trying to make that more prevalent in its marketing these days. It’s a very relatable challenge. How have approached this problem? Wade: The biggest thing for us is just showcasing our users. Less than 8% of our users would classify themselves as developers, so we know the vast majority of people who are using Zapier aren’t or don’t classify themselves as technical. The way we’ve tried to approach it is to just showcase and make heroes of as many of them as possible, and show how an accountant uses Zapier, how a lawyer uses Zapier or how a real estate agent uses Zapier. We dig into the breadth of people from all types of industries, backgrounds and geographies, who are using Zapier to be successful in whatever line of work that they’re in. Hopefully over time that connects with different audiences, because people can relate and see they can use this. It could be a tool for them. Email and spreadsheets tend to be the gateway drug into Zapier. Adam: What are some of the more surprising use cases that you’ve been able to play up to help solve that marketing challenge? Wade: There’s a lot of pretty basic stuff. I mentioned the email attachment to Dropbox example, that’s something that everybody has to deal with. Everyone works with email, so everyone’s trying to figure out, “How can I do more with email, faster?” A lot of people do things like making sure that if they tag emails a certain way those create tasks in their own personal to-do list, or maybe it delegates it into some task management software like Trello or BaseCamp, that one of their teammates can follow up on. 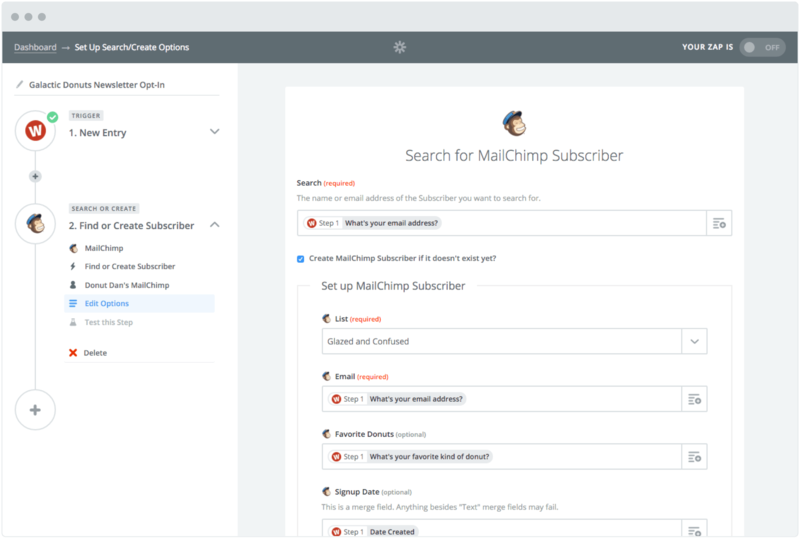 There’s a lot of things you can do just with email itself to get started that are pretty lightweight. For a lot of folks, email and spreadsheets tend to be the gateway drug into Zapier. Adam: Your team is fresh off a rather large launch, Zapier for Teams. It seems like you’re taking the first step into building solutions for bigger customers, which in turn means needing the approvals of decision makers who are less technical. That’s part of moving upmarket. Why do you feel like it’s important to move upmarket like that now? Wade: Our guiding light has always been our customer base. We have pretty specific workflows that allow our support team to log feedback from customers, so we have this big database of feature requests, and the types of users that are requesting them, logged in a database that our product managers sift through. Our product managers are also interacting [with customers] in support. We’re trying to understand our users as best we can, and one of the things we’ve noticed over the past year is a larger customer type starting to use Zapier. They have a slightly different set of concerns. For example, things like continuity in business is a big deal. “If I leave an organization, what happens to the workflows I set up inside my account?” Those are the types of problems that we set out to solve with Zapier for Teams. It’s letting these businesses make sure that when they set up these workflows, they can rely on them and they can outlast the people that are using them or that set them up. 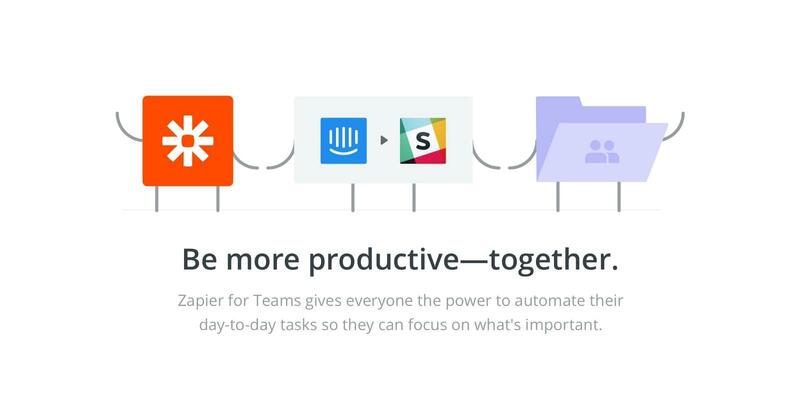 It was our own customer base just pulling us into this new product, Zapier for Teams. Adam: How do you validate those problems for larger customers, who may not exist yet, those who are writing into support or trying to figure out if what you have to offer is a good fit for them. What’s your process for that? Wade: A lot of interviews and a lot of stuff in support. The nice thing is when you have a product like Zapier, a lot of these organizations start adopting it anyway, maybe in an unsanctioned fashion. They’re already using the product, they’re just dealing with things that are not as good about it. They already love what we have, they’re already sold on it, but they just need a few workflows that better help them collaborate with other folks in their organization. Since these people are already active users, they’re more than happy to tell you the things that they don’t like about your product. You just have to say, “Hey, I want to make this better for you. What do you want?” They’ll tell you. Adam: To tackle this, did you have to scale up your product team, or were they able to manage the problems of both your current, more startup customer base, as well as these larger teams? They just need a few workflows that better help them collaborate with other folks. Wade: We did build a new product team for Zapier for Teams. It’s a product manager, a couple of engineers, a designer, plus a few other shared resources in the organization that helped build it out. That was a totally new team that we put together that made that product happen. Adam: Without getting too promissory, what are some of the problems there that your team has their eye on? Wade: We’re just fresh off this launch, so we’re paying attention to the things that these customers are starting to talk about. A lot of it’s the normal stuff that enterprise care about like single sign-on or log-in, stuff like that. We’ve got our eyes on those types of things to see if that’s indeed what they want, or if there’s something that’s unique about our user base compared to a normal larger customer. Adam: How has that switch been, from launch mode to iteration mode? It typically requires a change in mindset. Wade: While launches, from a public perception, feel like a grand reveal, we’re constantly iterating all the time. Behind the scenes, Zapier for Teams has existed in some sort of beta setup for a while now, and every two weeks we’re improving it for our beta customers – new features get launched, new polishes get shipped. From a day-to-day standpoint the product teams don’t have to make that mental shift of, “Ah, we’ve just completed this massive thing, now we need to move into a different type of product development.” You keep it as similar as you possibly can to make sure that you’re always improving the product for your customers. While launches feel like a grand reveal, we’re constantly iterating all the time. Adam: Speaking of betas, I was recently speaking with a product marketer here at Intercom who mentioned how valuable beta customers have been in terms of how they’ve shaped the messaging around the product. Did your marketing team find that as well with this process? Wade: Absolutely. We have a Zapier Advisory Group, and it’s basically a bunch of customers that like using our newest, freshest stuff. We do interviews with them, we listen to the problems that they talk about, and we often borrow the language that they use. If they talk about a problem in a certain way, our intuition is, “If we talk about it that way to other customers, it will probably relate to them.” It’s a really smart idea to use that as your initial messaging to see if it gets traction with other folks. Adam: We’ve mentioned integrations over and over, I think it’s going to be a theme of this conversation as it’s a core part of the strategy of Zapier. There’s over 800 to date. From a platform perspective, how does your team approach when they’ll build an integration versus having partners build them? How do you manage that? Wade: We launched the very first developer platform on Zapier in 2012, about a year after we launched. The very first 50 or so integrations we built in-house. Since then 90% or more of the integrations have been built by partners. The scenarios in which we build are fairly few and far between. It’s either one, massive company, like Google or Microsoft, or a product where we want to be one of the first adopters. Or, maybe we’re onboarding a new teammate and they want to experience what it’s like to build an app, so they might pick an app that they like or care about getting some experience using it. Otherwise, our platform has mostly fulfilled all the needs that we have from an integration standpoint. Just pay attention to the things they complain about. Adam: What’s the key to supporting those partner developers? How do you set them up for success? Wade: This is something we’ve learned over time. It’s very similar to a lot of the product development tactics we’ve been talking about – paying attention to what they care about and paying attention to their complaints. For the longest time, the only way that we had to build an integration on Zapier was with this web builder where you could build the integration in the browser. We realized, based on talking to a lot of the developers, that it kind of sucked for them because they didn’t get to use any of the normal dev tooling that they were used to using. Earlier this year we launched the CLI version of our dev platform, which allows them to check out code in a branch, collaborate using Git, and use a lot of the tools that developers are normally using. A lot of it just comes from the same sort of product development you would use with any other type of user base. Just pay attention to the things they complain about and try and build things to make their lives easier. Adam: Have you found that these developers have established a community? Are they able to help each other in some ways? Wade: That’s one thing we haven’t invested as much time in, but we started doing it a bit more. We have a developer Slack group where folks are hanging out. It’s starting to happen a little more organically, but that’s definitely one of the things that we’re interested in trying to do a better job of nurturing. Adam: When it comes to what these partners are building and developing these days, are there any trends that have emerged? Wade: A lot of what we see is so many different approaches to the same types of problems. Take CRM. Certainly there’s not a new way to do a CRM. But, every month there’s new CRMs launching on Zapier. When we dig around and play with the tools, indeed we find there’s actually a unique thing that this company’s doing that’s a little different than somebody else. That’s one of the things we’ve realized over time is that the market has taken this very best-of-breed, fragmented approach to solving these problems for different types of customers. If you’re a small real estate agent based in the Midwest, you might use a different CRM than if you are a software company based in San Francisco. The core concept is basically the same but the implementation becomes quite different depending on how you’re thinking about solving it. That’s been really interesting. Adam: Is that a challenge for your support team, in that you seem to run into a lot of these patterns, but in actuality they’re being solved in quite different ways? Wade: It’s definitely a challenge. One of the ways that we try and solve it is by thinking about it in terms of the underlying data models. For us, we don’t care as much about the UI skin that’s on the top of it. From a support standpoint, we train all of our support agents to understand how to look at an API call or what data’s getting pushed back and forth. From that point, a CRM is a CRM, right? A contact has a first name, a last name, email, phone number, mailing address, whatever. That way the CRMs do end up being fairly similar and you don’t have to learn as much about the product from a UI standpoint as you might otherwise. Adam: One part of the Zapier story that I’ve always found interesting is that you did dip your toe into VC funding and had a successful seed round a few years ago, but became sustainable after that, and are now profitable. Was this lean fundraising approach always the plan, or was it a change of course following that first round? Wade: I think about fundraising a little differently than other folks. To me, fundraising is very much a tool in your tool belt. It is an operational tactic that you use when you need it, and if you don’t need it you don’t do it. A lot of companies fall into the spectrum of, “I’m bootstrapping definitely,” or, “I’m going up the VC alphabet. Series A, series B, series C.” There is a different approach, which is saying, “If in the lifecycle of our company we need this, let’s take it. But as our company grows, if we don’t need it, let’s not take it.” That’s a fine way to approach things. We’ve been able to go as fast as we care to go without taking more money. For us that early round was helpful because we had gotten some early traction, we had customers, but we were still doing Zapier as a side project. We wanted to go faster, we knew that there were network effects involved in Zapier – if you had the most integrations you probably were going to be able to build a platform around it. Taking that early seed round did allow us to go fast enough. It turned out that was all we really needed. Since then, we’ve been able to go as fast as we care to go without taking more money. Adam: This obviously worked out pretty well for you and your co-founders, so why do you think it is that it is always so black and white? That you’re either climbing the ladder or you’re bootstrapping all the way. Wade: It really depends on the type of business. If you’re bootstrapping it’s easy to stay bootstrapped because you always care about the ROI of everything that you’re doing. Money is at the backdrop of every decision. Once you go VC, one of the things folks tend to think is you go into this spend, spend, spend mode, and don’t often think about, “Is this the right time to start spending money?” Once you kind of dig yourself a hole, you have to keep raising more money to keep going that direction. You get on this treadmill and it’s tough to get off. That’s a big part of why you see people continue to raise money. Quite frankly, they have to. Adam: Speaking from your own experience of not being beholden to investors in the long-term, what decisions were you able to make that maybe you wouldn’t have been able to do otherwise? And vice versa, what did you have to sacrifice with your approach? Wade: We were able to be a lot more methodical. We can think about the long-term play of how Zapier gets built and do things that make sense for us. A great example of this is that Zapier is a 100% remote team. More and more investors are okay with that model, but at the time when we were coming in it was pretty rare. We didn’t have to fight any battles around it, we just did it, and it’s worked out phenomenally well for us. If we had more VCs around the table, who knows, maybe we would’ve had to fight a battle there. Maybe we would have won, maybe we wouldn’t have won, but it probably depends a lot on how we would’ve structured the deal with the VC. Stuff like that allows us to do things that we think are in the best interests of the company and just do them. We don’t have to debate them, or or give board decks, or wait. We just do them. Adam: You mentioned having a 100% remote team. People have very strong views around whether or not that’s beneficial. What was the driver there for you guys? Wade: For us it was a pretty practical decision. We had moved to the Bay area for Y Combinator. At the tail end of that, Mike, one of my co-founders, moved back to Missouri for a brief period of time, so we were working remotely again. Because we’d started as a side project, we were used to working through these types of tools, like Github pull requests and chat. Then we started to need to hire, and we’d never hired anyone before. It wasn’t something we had experience with, and we’re in the Bay Area where we don’t really know anyone. The advice was, “Just hire old co-workers, folks that you trust and know you can work with.” I had a buddy in Chicago who was running a Cubs message board, and this was before they won the World Series, so he was used to working with angsty folks. I figured he could probably do a pretty good job at running support. We had an engineering firm back in Columbia, Missouri that I’d worked with before and was really good so we teamed up with them. It became remote just because that was the best path forward for us at the time. Then we got good at it and decided this is actually an advantage for us to do it this way. Adam: When you say you got good at it, what was the biggest lesson you had to learn to reach that point? Wade: Building a lot of the discipline around documentation and communication up front. Knowing how to write good read-me’s and how-to’s, and all that sort of stuff. How to run meetings and give feedback were really important for us early on. Once we built that into the DNA, it didn’t matter if it was a small remote team or big remote team, a lot of the core principles were the same. Adam:One of the easiest paths to getting press though in this industry is through funding announcements. Clearly you had to find some alternative ways to get people talking about Zapier and get the word out about the company. What methods did you find success with? It became remote just because that was the best path forward for us at the time. Wade: Well, funding announcements tend to be one of the worst ways to get new customers for 99.99% of products. If you’re bootstrapped and thinking, “If only we had a funding announcement,” trust me, that’s not going to solve your problem. The main thing you need to do is figure out where your customers are hanging out. How are they solving problems that you solve already? Are they doing Google searches for it? Do they go to industry events? Are there communities where they hang out? You’ve got to identify where those core customers are spending their time, and that really informs your marketing decisions early on. If it is search, maybe you’re trying to get pages that rank for it, or maybe you’re doing some PPC or SEM around it. If there’s community groups, you definitely need to be a member. Do you need to speak at a conference? That type of stuff. It’s figuring out how they solve these current problems and trying to tap into those. Adam: Did you spend a lot of time on developer forums? Wade: It was actually not developer forums specifically, but forums of the software apps. Salesforce had a forum, Evernote had a forum, HighRise had a forum where users were talking about their integration problems, and that’s where we were in the early days. Adam: As someone who got their start outside of the Silicon Valley bubble, you hadn’t gone to school in the area or made connections working at a larger tech firm. As far as building and running a successful startup, how did that influence your approach? What unique perspective do you think that time outside of the bubble gave you? Seeing that the exception to the norm is fundraising gave us this insight that we could do it. We had some great examples in Columbia, including two brothers who’ve had a handful of successful companies so far, and every single one of them they’ve been 50/50 on and entirely bootstrapped. The latest one, Veterans United, has something like 1,500 employees, so wildly successful by every metric. It was all bootstrapped. Seeing those examples and knowing this is a normal path that most businesses go through, that the exception to the norm is fundraising, gave us this insight that we could do it. Adam: You mentioned thinking about if people were going to be paying you from the get-go. How did you approach early pricing? I assume there was not a free period. Wade: Yeah, our beta program was unique. You had to pay us to be a part of our beta program. There was no trial either, so it was pay us, product sight unseen. We told them “A one-time fee gets you into the beta, and you have access for as long as the beta is. The beta might last three months or it might last three days, we don’t really know. It’s just going to take the time that it takes to build this thing.” We had that fee and that let us get people in the door who actually cared about the problem and weren’t just interested in tech. It wasn’t like, “This seems like a cool thing, let’s just give it the old college try.” We wanted folks who thought, “No, this is a real problem that I need to be solving immediately.” It allowed us to more easily prioritize those early customer calls and figure out who we should be talking to, because these folks were motivated to solve the problem. Adam: What advice do you have for those who are building startups in a similar location to Columbia, Missouri? What do they need to do to succeed? Does that involve having someone relocate to the Valley? Nine times out of 10, where you’re at is just fine. Wade: The biggest thing is to focus on solving a problem, figure out where your customers hang out, and do what it takes to get access to your customers. It probably doesn’t involve moving to the Valley, or having someone located in the Valley. It might, depending on the product that you’re selling and the type of users that you have, but it’s a very good chance that it doesn’t. A lot of times the products you’re building and the customers that you’re building it for are who dictates where you need to be. Nine times out of 10, where you’re at is just fine. Adam: Wade, this has been a lot of fun. Where can our listeners go to learn more about Zapier and what’s going on with you and your team? Wade: Our blog has a lot of the fresh announcements, so you can pay attention there. I’m pretty active on Twitter @WadeFoster, so if you want to chat with me there, that’s great as well.